Seal belts have been one of the most important safety features on all cars for decades, but that wasn’t always the case. Following the Second World War, automotive travel was becoming increasingly popular for returning GIs and their families, but the seat belt was considered a novelty at the time. People did not want them on their cars, and they are associated with only being necessary for airplane pilots. Interestingly, it was Robert McNamara, who was in the United States Army Air Force during WWII, that realized the airplane seat belt could save lives on the road, and, as president of Ford Motor Company, pushed for safety increases in all cars. In addition to the seat belt, he also included a concave steering wheel to prevent driver head injury, better door handles to prevent occupants from being ejected, safety glass, and padded visors in what he would name the Lifeguard package available on Ford models beginning in 1956. While the seat belt is now a standard safety item, and one responsible for saving a seemingly extraordinary number of lives, it can be dangerous if has been defectively designed. According to a recent news article from Wired, Tesla has issued a voluntary recall on its Model S vehicles due to a potentially defective seat belt. Tesla is a major manufacturer of fully electric vehicles that are designed to be sportier than the Prius and other hybrids or even fully electric vehicles. They are also considerably more expensive than other electric cars. Tesla claims it became aware of the problem when it learned that the seat belt on one car in Europe was not installed properly. The company is downplaying the risk to customers but did say that a seat belt in the condition of the one identified would not function properly in a motor vehicle crash. While it may have been seen in only one vehicle, the reason it was installed improperly has to do with a potential defect in the design and production process, which means that it could been a problem in any number of other vehicles in that line. For that reason, the company is voluntarily recalling all Model S Tesla vehicles to make sure that all seat belts are properly installed and in fully working order. There are approximately 90,000 cars that may have a defective seat belt, and the company is urging all Model S owners to take their cars to dealerships for free seat belt safety inspections to check if there is problem and replace the mechanism if necessary. The company has been acting as fast it can to correct the problem and is trying to avoid anymore negative media attention. Even though the company is much smaller and newer than the Detroit big three and other foreign automakers, it gets a large amount of scrutiny, partially due to its different focus than other carmakers. 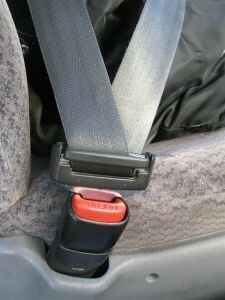 Company representatives have also said they are not worried about finding more defective seat belts during the inspections, because they are busy working to stay ahead of the problem.